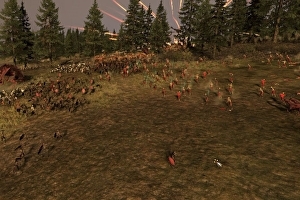 Watch: How’s Total War: Warhammer’s performance? I saw a few comments asking specifically about the game’s performance. This series has had its share of issues with PC optimisation and I figured it would be useful to show you what the game looks like in action. Now, I’m playing on a fairly mid-tier machine, but even then, I’m able to play most of my campaigns on the ‘ultra’ graphics settings with no major complaints. However, in the video below, you can see what happens when I set up some of the largest battles the game can accommodate. Author saeedPosted on May 21, 2016 Tags PCLeave a comment on Watch: How’s Total War: Warhammer’s performance? Eurogamer noticed an increased number of readers to a four-year-old news story today. The article was about a Capcom PR stunt promoting Resident Evil by setting up a with graphic sculptures of supposedly human meat. Now, nearly four years later, it looks like those images have sparked a rumour so widespread that the Chinese government had to issue a statement. 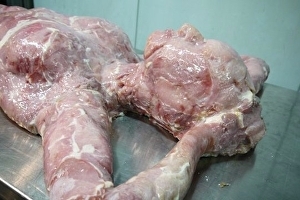 It all started when we discovered this story about a rumour that China was exporting cans of human meat to African supermarkets. A by Barbara Akosua Aboagye made the allegation using a Eurogamer image of Capcom’s 2012 Resi installation as proof of this dire practice. The post was shared over 26k times and South African outlets Msanzi Live and Daily Post suggested that this was China’s way of dealing with a lack of space to bury its dead. 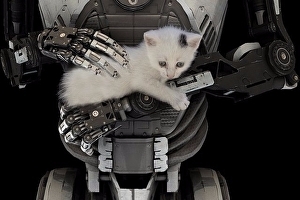 Croteam’s acclaimed first-person philosophical puzzler The Talos Principle will be getting a sequel. As reported by Damir Đurović on , Croteam coder Alen Ladavac made the announcement at conference Nordic Game 2016. Croteam’s retweeted Đurović, further confirming that the attendee did not hear things wrong. Samorost 3 is a very peculiar game, albeit an immensely charming one. The non-verbal throwback to point-and-click adventures of yore is best known for its enchanting visual style and bizarre audio. And now developer Amanita Design has released a video showing us how these crazy sound effects were produced. 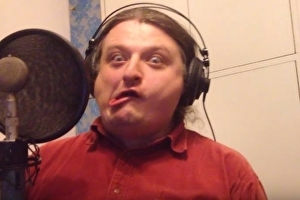 Surprisingly, much of it was a cappella work with voice actors inherently making ridiculous faces to emote the correct notes. There’s also a lollipop being used to strum a pair of banjos, just to ensure that sweet lollipop sound. At one point, a cello is subtly manipulated with a paperclip for reasons I cannot understand. Blizzard’s latest marketing stunt has seen the publisher release a series of oversized Overwatch sculptures around the world. 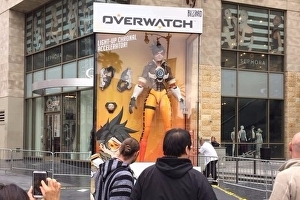 Twitter user snapped pics of a colossal action figure of Tracer in a sealed box on Hollywood Boulevard. This isn’t the only Overwatch statue popping up either, as Paris has a Genji figurine and Busan is getting one of Pharah, though that won’t be ready until tonight at 4am UK time according to . If you thought the (I’m sorry, Tetris trilogy) was a stretch, well here’s another one for you. Fruit Ninja, the mobile hit about slicing fruit by swiping on a touch screen, is likewise getting the silver screen treatment. 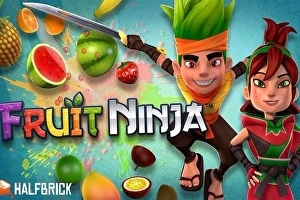 Perhaps a Fruit Ninja film isn’t so far out after all, as it is the second highest selling iOS game of all-time (after Candy Crush Saga) with over 1bn downloads. Behind it there’s Angry Birds, which is . 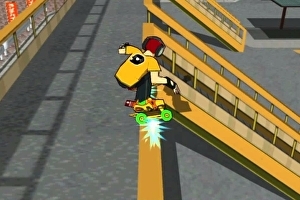 This all happened in the winter of 1999 – a weird time for video games. The PlayStation was drawing to the end of its spectacular life, and the hype had begun for its successor. Microsoft was muttering about the Xbox. Everyone was looking forward to a new generation. Sometime in the spring of 1999, I got a call from Caspar Field who had worked with me on Edge a couple of years before. He was launching Future’s unofficial magazine for the new Sega machine. It was going to be called DC-UK for some reason that I still don’t fully understand. He wanted to know if I’d come aboard as associate editor. At the time I was freelance and I didn’t really want to get back into full-time magazine production. In the late-nineties, Future ran its publications like crazy little fraternity houses; it was fun, we were largely autonomous, but we were badly paid and over-worked and every issue of every magazine was a chaotic maelstrom of late nights and booze and hangovers. I felt like Al Pacino in Godfather 3, I didn’t want to be dragged back in. There was a time when a new id Software release could make waves across the industry – redefining entire genres, upping the ante for high-end graphics, and changing the face of multiplayer games forever. With those halcyon days lingering in our rear view mirrors over the past few years, it has often felt as if the id Software we grew up with had been lost to time. Then, on Friday the 13th of May, everything changed – Doom was released to the world and blew the doors off expectations worldwide. To say that we were pleasantly surprised would be a vast understatement. 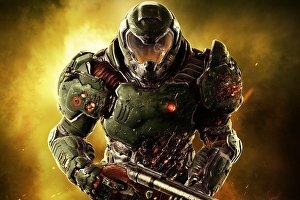 To put it simply, id Software is back in a big way and this new take on Doom rockets the studio right back up to the top. The release of Doom also marks id’s triumphant return to cutting-edge graphics engine development. Combining the high performance and virtual texturing capabilities of id Tech 5 with advanced lighting and materials, the new id Tech 6 feels like a long awaited return to form. Such results don’t come easy, however – while classic id Tech engines were architected primarily by John Carmack, who has since moved onto Oculus, id Tech 6 is the product of a massive dedicated team of id veterans and leading industry engineers, including a number of folks from Crytek, coming together under one banner. The results are explosive. Doom delivers a full 60fps shooter on consoles with some of the most remarkable visuals we’ve seen this entire generation. In the wake of PlayStation Neo rumours and cries for new hardware, the release of Doom and Uncharted 4 in the same month demonstrates just how capable the existing machines are in the right hands. After all, no matter how much power is available, good performance still requires smart coding and design. which came very close to nailing the feel of its original 90’s predecessor. But did you know there was once another version of Doom 4 in the works, one that looked completely different to the Doom we’re playing today? 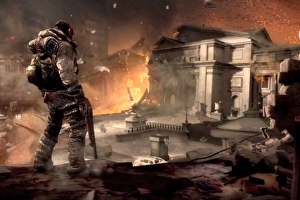 This cancelled version – developed sometime between 2011 and 2013 – was set on Earth, looked like a cross between Call of Duty and Homefront: The Revolution, and couldn’t have been more different to the classic Doom formula if it tried. I used this cancelled Doom 4 as a springboard for this week’s Eurogamer Show, where I explore 8 great games that could have been very different indeed. Among the games featured are Team Fortress 2 – which used to be a realistic war sim – and Goldeneye, which at some point in the dim and distant past was meant to ship without its legendary split-screen multiplayer mode. If you can even imagine such a thing. Do you remember the first time a video game told you a story? By that I don’t mean the first time you played a video game that had a story. I mean the first time it made one up for you, like a grandmother who’s reached the end of her book of fairytales, but the grandchildren are crying “One more, one more!”. I mean the first time a game took a bunch of random numbers, fed them through a system of switches and levers, and somehow outputted a coherent, mesmerising narrative? Do you remember the first time you experienced this magical moment that only games can provide? 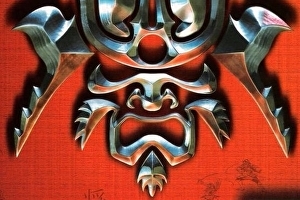 It was 2003, and the game was Shogun: Total War. I’d picked it up a couple of years prior and played with it a little. I’d gone “wow” at its ability to render hundreds, sometimes thousands of tiny soldiers on impressive 3D terrain, then forgotten about it in favour of the new Medal of Honor or something. I’d never been much of a strategy guy. Up to that point, the only strategy game that had held my attention for longer than a few hours was Age of Empires, because of its elegant simplicity and that compulsive rhythm of advancing your civilisation.